Bhubaneswar: Extending the ‘Aahar’ facility to more people, Odisha Government announced opening of 38 more centres in 17 districts of the state today. 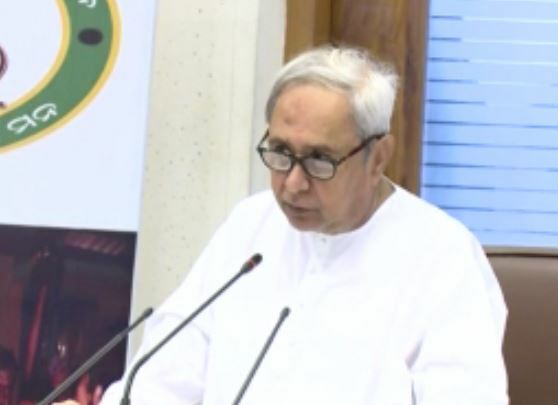 CM Naveen Patnaik while launching the new centres via video conferencing at the State Secretariat informed that the daily capacity of ‘Aahar’ scheme has gone up to 1 lakh from 85,000 with the new addition. “Aahar is a popular scheme and it is very pleasing that the total number of centres operating under it has gone up to 157 in the state today. Now, all urban areas in the state have been covered under the scheme with 56 hospital campuses getting the facility,” said CM at the Secretariat. New Aahar centres which were launched today also includes one at the All India Institute of Medical Sciences (AIIMS) near Sijua. With the addition of night meal facility this centre will prove extremely beneficial for attendants of the patient and visiting the hospitals from various parts of the state as well as abroad. With an objective to provide cooked hot meals to the poor and needy people at an affordable cost of Rs 5, the Aahar scheme had been launched in the state on April 1, 2015. State Housing and Urban Development (H&UD) Department is the nodal department for the scheme.